Many young Christians do not see the heartache and difficulty that they add to a marriage when they marry someone who is not a strong Christian. Mom’s and Dad’s need to teach the importance of finding a mate who will help them get to Heaven. Some have married a Christian, but the one that they chose is a very weak and uncommitted Christian. Such a person is not much better than marrying someone who is not a Christian. Consider some things that a person often does not think about when they marry someone who is not a strong Christian. 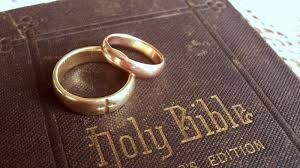 The person who is not a strong Christian does not begin the marriage with the same values and principles as you do. Grace, forgiveness and Biblical love are the principles that must be the heart of foundation of your relationship. Divorce is an easy option for someone who is not a strong Christian. Will prayers be offered at the meal before you eat? Don’t take that for granted. Will you be allowed to attend all the services, including Gospel meetings? Will you be able to give as you would like? Will you be able to invite Christians into your home? When you become spiritually discouraged, who will be there to encourage you? When those dark days come and you must bury a loved one, will your mate be a spiritual help? Will your mate be interested in you sharing and talking about spiritual things? Will your mate be able to answer spiritual questions you may have? If your mate won’t be interested in the most important thing in your life, what else will they not be interested in? Will your mate make you weaker and less committed and compromise what you now believe in or will they help you get to heaven?